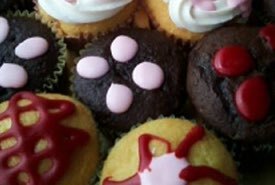 You'll love learning how to decorate cupcakes. They are so much fun to decorate because you have so many creative options. Even in a single batch, you can choose to decorate them all the same or make each one completely unique. And anyone can do it. 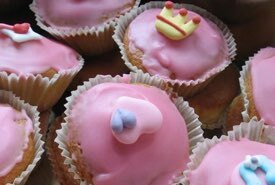 Even children can get in on the action and make their own cupcake creations for their parties. Simply follow the easy instructions below. Sometimes it's never easy to wait, but you need to make sure that your cupcakes are completely cooled before you begin decorating them. Otherwise, your beautiful icing will melt, and your results will be disappointing. You can always make your homemade cupcake even more special by filling it with a surprise treat. Knowing how to decorate cupcakes with a hidden filling will help you to add an extra WOW factor and enhance the presentation of your homemade bakery creations. If you choose to fill your cupcakes, it needs to be done before adding a decorative iced topping. The iced top will hide the filling's entrance hole. Cupcakes can be filled with icing, mousse, sweetened whipped cream, peanut butter, your favorite jam, and more. 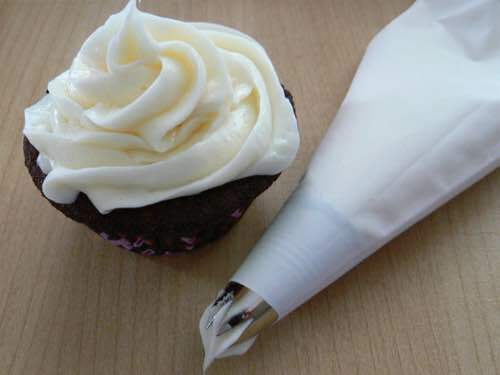 Fill your cupcake by using a decorator bag and a long, round decorating tip. The No. 230 tip is perfect for this purpose. Just insert the No. 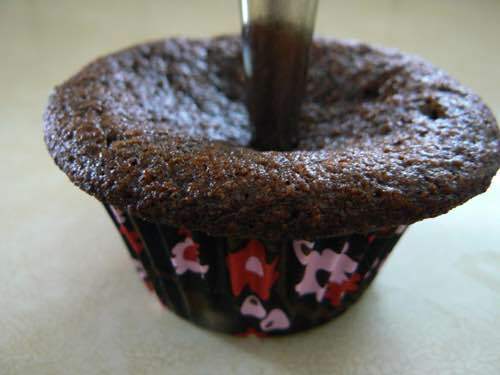 230 tip straight into the top surface at a 90 degree angle to the cupcake (as shown above), being careful not to go too deep. Next, squeeze the decorator bag gently and be ready to stop when you start to see the top of the cupcake rise, and the tip is near the top. 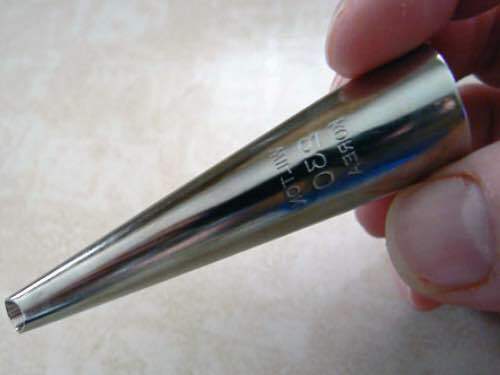 Remove the tip once you've stopped applying pressure. 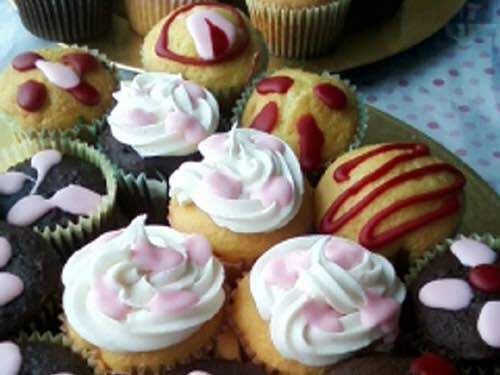 You've no doubt seen many decorated cupcakes that feature a swirl of icing on top. It's the basic decoration for those learning how to decorate cupcakes. 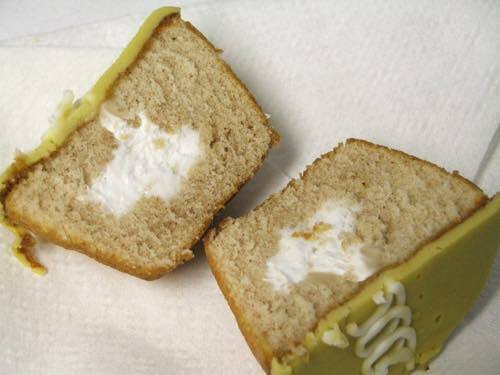 You can easily learn do this decoration in white or use food coloring to get the icing color you want. You can even purchase edible spray colors that allow you to spray on color after you've completed your swirl. To make a basic swirl topping, use a large swirl tip such as the No. 1M. Fill your decorator bag with the icing of your choice and add the No. 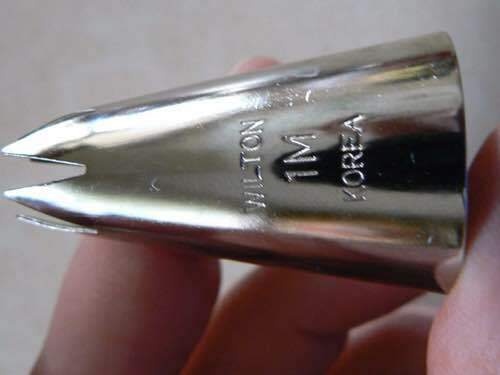 1M, or other swirl tip. Position the bag to place the tip at a 90 degree angle to the cupcake and starting from the side, create a circle, continuing to work to the center. When you get to the center, stop applying pressure, and carefully pull the decorator tip away from the cupcake. That should supply you with tons of ideas as you learn how to decorate cupcakes. Just remember, there's no single best method when it comes to cupcake decorating. Even if the results aren't looking 100% perfect, your cupcake is likely to taste amazing anyway! So just go for it. Whether you decorate a little or a lot, it's all a matter of personal taste and preference. 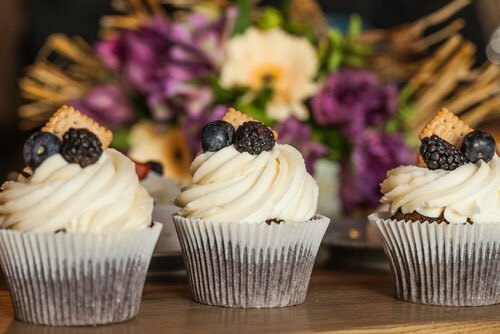 It has been said that presentation is everything and if that's true, you won't want to risk having your wonderful cupcake creations taken for granted. You'll want to present them in their full glory. 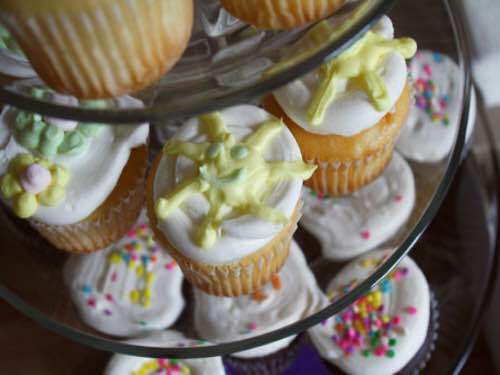 Consider investing in a tiered cupcake stand to properly display your decorated cupcakes. They make a perfect centerpiece for any dessert table, and your guests can easily help themselves to whatever cupcake they choose. Attractive cupcake display stands are very affordable, and they come in a variety of attractive styles suitable for any occasion. Your beautifully decorated cupcakes make a wonderful gift when they're presented in a fancy cupcake box with a transparent window and an insert with a recessed space to hold the cupcakes securely. These cardboard gift boxes are available at most cake supply stores in a variety of colorful designs and sizes to hold from one to a dozen standard size cupcakes. Gift boxes to hold a single jumbo cupcake are also available.